Insurance lead generation company InsuranceFiles.com now offers shared leads for insurance agents. “We’re excited to have our shared leads program up and running. We’ve had many requests from agents to launch a shared program, and it’s a great feeling to be able to say ‘yes’ to my agents,” says account manager Audrey Lee. Shared leads are an extension of InsuranceFiles.com’s exclusive leads program. Rather than only being able to buy exclusive leads, agents can now have the option to buy shared leads as well. Each shared lead is $8.75 and is sold to no more than four agents to minimize unnecessary competition among insurance agents. These shared leads are also carrier exclusive meaning the same lead will not be sold to more than one captive agent from the same company. InsuranceFiles.com sees this as an opportunity to expand their customer base with this new product by catering to agents with smaller marketing budgets or those who are new to using leads to expand their business. In addition to having the option to buy shared leads or exclusive leads, each agent receives a dedicated account manager to assist with any technological or quality issues as well as to helping agents understand how to best use leads. The program is now available to all licensed agents. For more information, please call 888-467-5606 or email info(at)insurancefiles(dot)com. 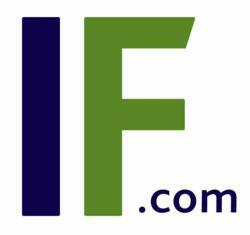 InsuranceFiles.com is an online insurance lead generation firm that specializes in exclusive auto insurance leads. An easy to navigate website and expertly trained marketing associates brand InsuranceFiles.com as a trend setter. Their dedication to re-inventing the insurance leads business greatly benefits the agents that work with them in the form of higher profit. InsuranceFiles.com is an online insurance lead generation firm that specializes in exclusive and shared auto insurance leads. An easy to navigate website and expertly trained marketing associates brand InsuranceFiles.com as a trend setter. Their dedication to re-inventing the insurance leads business greatly benefits the agents that work with them in the form of higher profit.